This is a wonderful main course for dinner, that can also provide you with wonderful leftovers for lunches the following days. As a main course, I serve it with the skin on, dressed with some of the orange glaze. After dinner, I remove the skin, slice the meat and nestle the slices in the pool of glaze and pan juices. The bright, sunny citrus permeates the meat and the flavor gets better as the slices sit in the glaze over the course of several days. 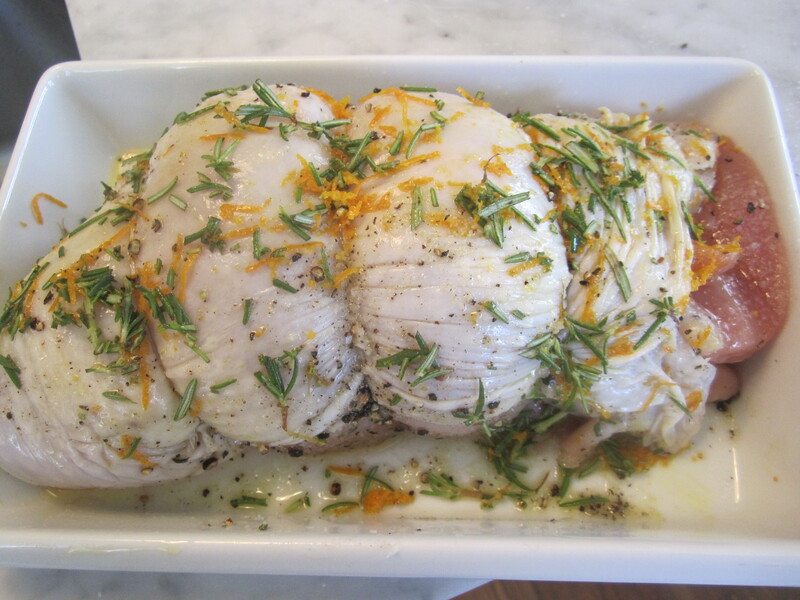 My butcher sells free-range organic turkey breast already boned and tied into a roast, but you can just as easily make this with a bone-in turkey breast (just add cooking time to compensate for the bones). 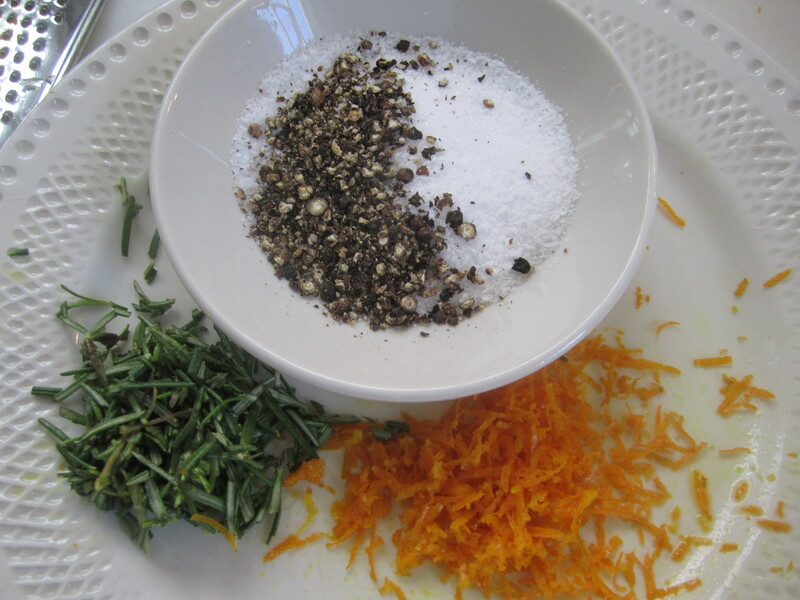 I like to dry-brine the breast with plenty of salt, pepper, chopped rosemary and orange zest. I also add a bit of olive oil to disperse the seasonings. This can be done about 6 hours ahead of cooking time. Meanwhile, I make the orange glaze, which consists of shallots, white wine, rice wine vinegar, orange juice, and orange marmalade. The shallots are slowly cooked in oil until soft and melting, then white wine and vinegar are added and reduced. 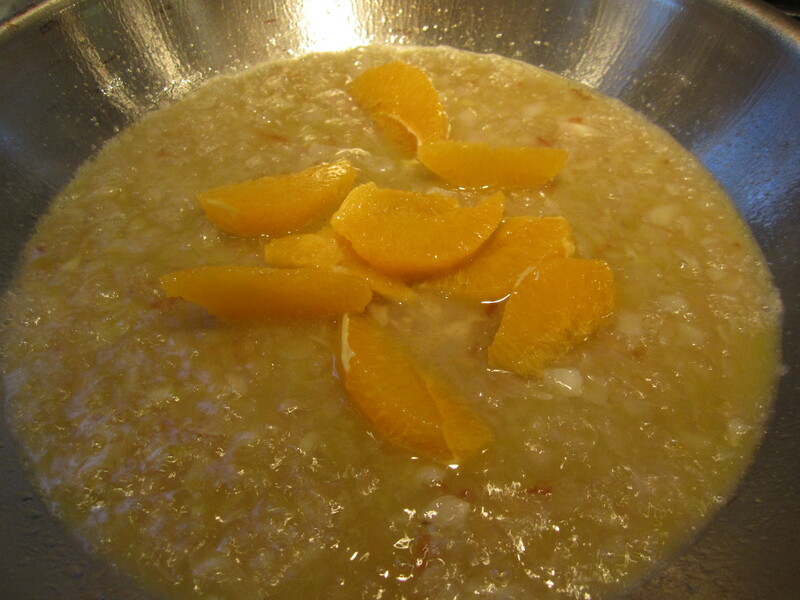 Then orange juice, orange sections, marmalade, and chicken broth are added. 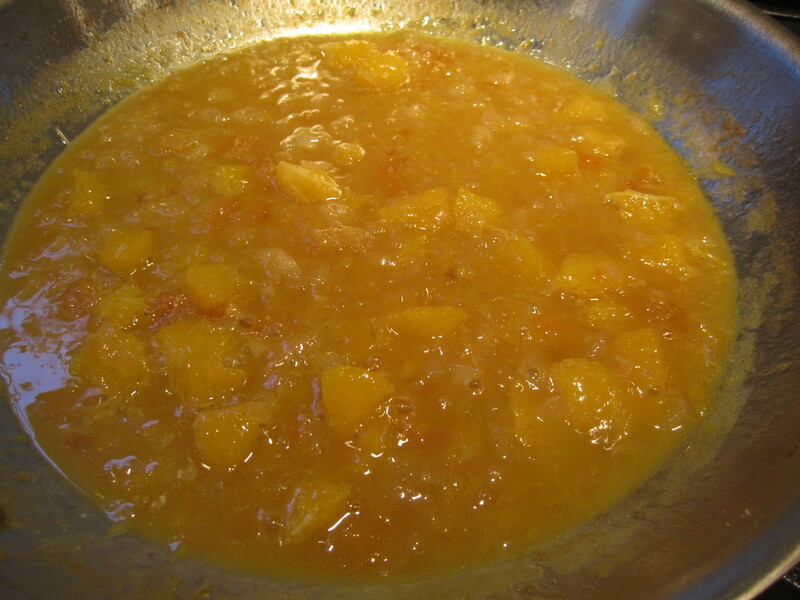 The mixture is simmered for about 15 – 20 minutes until syrupy. It’s difficult not to eat it with a spoon before it even before it touches the turkey. 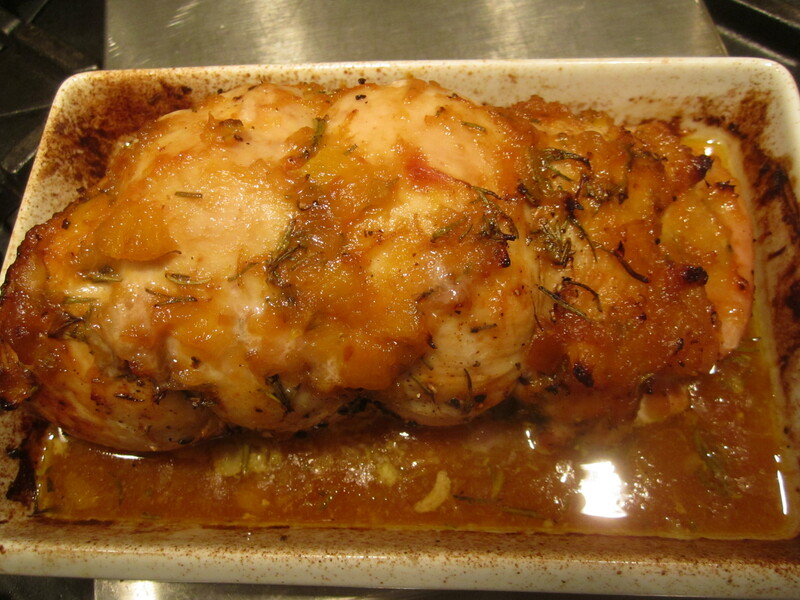 The breast gets roasted, uncovered, until halfway cooked, then basted with the glaze. The glaze combines with the pan juices to make the most wonderful sweet-tart combination. I add a bit more broth to the pan as well, to insure that there will be plenty of liquid left when the roast is cooked. 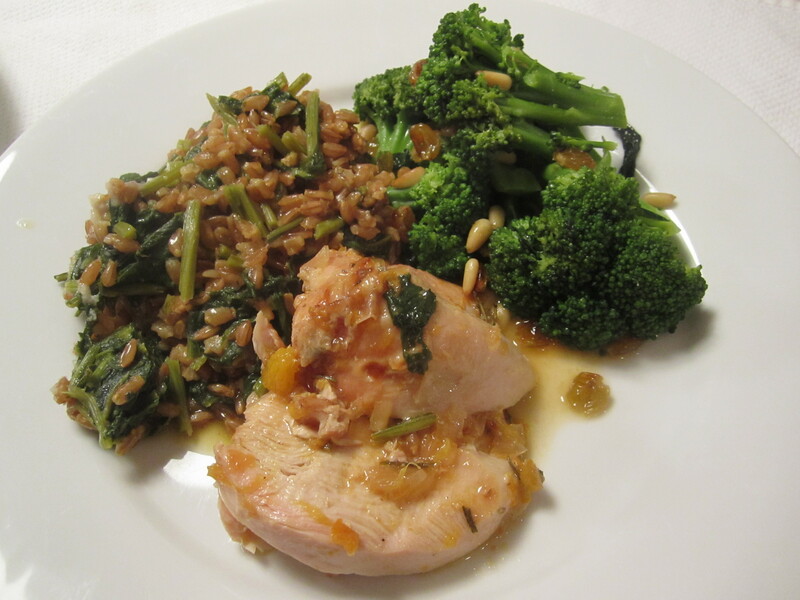 Tonight, in addition to the turkey breast, we had farro with beet greens and broccoli with pine nuts and raisins. All three of these dishes will make for wonderful lunches in the days to come. About 6 hours prior to cooking, rub turkey breast with salt, pepper, rosemary and 1 tablespoon olive oil. Cover and refrigerate until ready to roast. 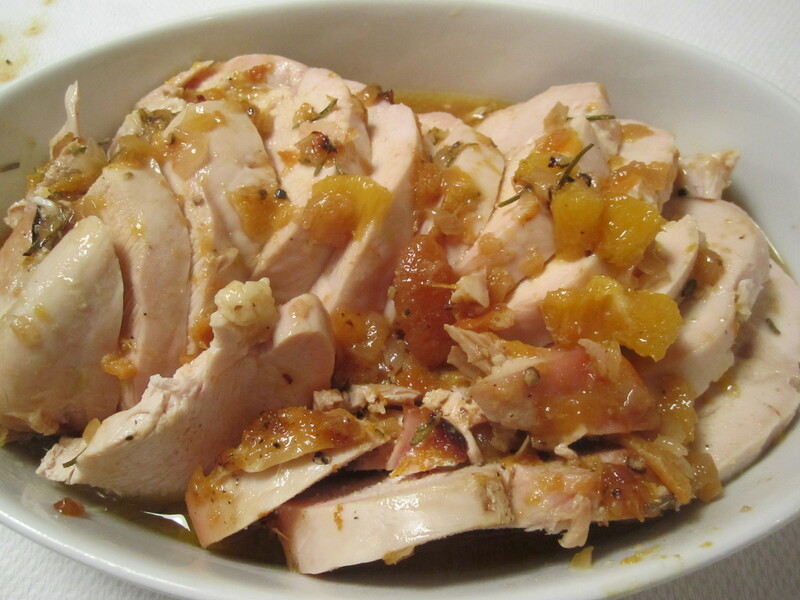 When ready to roast, drizzle an additional tablespoon of olive oil over roast. Place in oven, uncovered, and allow to roast for 15 minutes. At that time, add 1/2 cup broth to the roasting pan, and roast for another 15 minutes. Remove from oven and spoon on half of the glaze. Continue roasting and adding glaze until the internal temperature of the roast is around 160 – 165 degrees. (my roast was 3-lbs, and total cooking time was 1 hour 20 minutes). Let set for at least 15 minutes prior to carving. When ready to store leftovers, remove string and skin from the remaining piece of breast and slice into 1/2″ thick slices. Nestle the slices in the remaining glaze and pan juices. May be refrigerated and served straight from the fridge for up to 5 days. 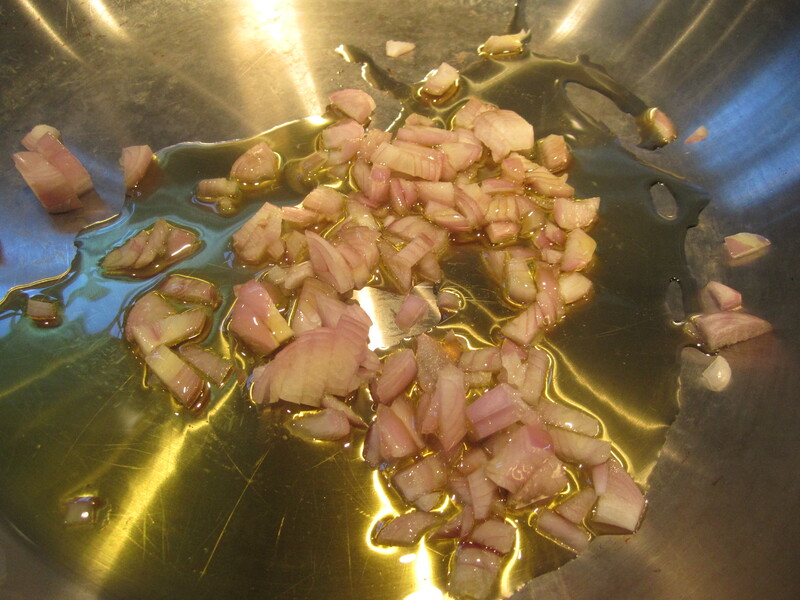 In a skillet, combine shallots and oil and cook over low heat until shallots have turned translucent and begun to melt. Add wine and vinegar and increase heat to high. 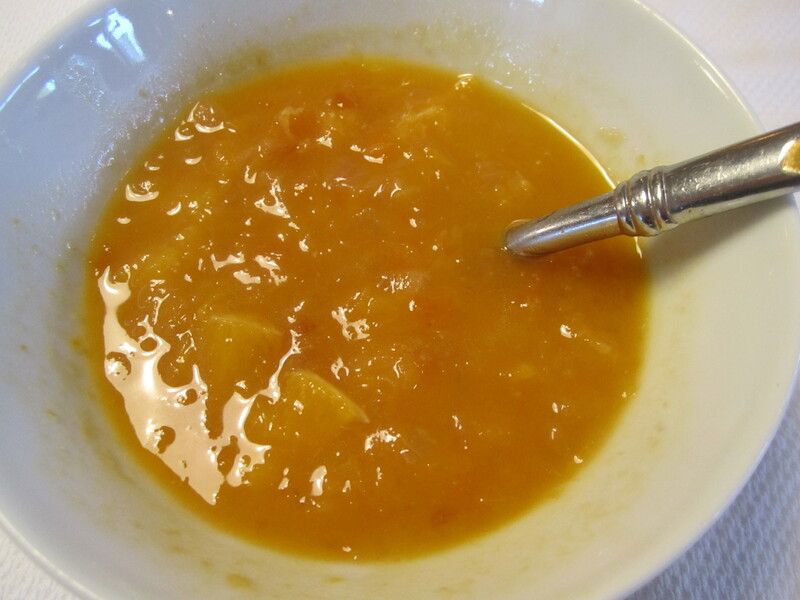 Reduce until only a few tablespoons of liquid remain (about 3 minutes on high heat). Add remaining ingredients and simmer for about 15 minutes on medium heat, or until thick and syrupy.